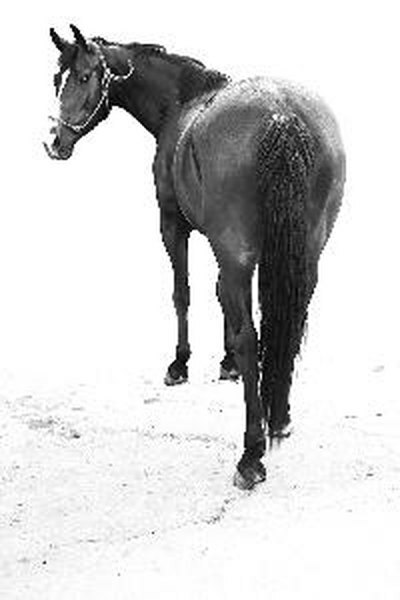 The IRS looks very closely at tax returns filed by horse owners. 3. Can I Claim Business Expenses for a Business With No Taxable Income? Among 2012 election season media diversions were articles about Ann Romney’s Olympics-bound horse, Rafalca. The media took an interest in the horse due to Mitt Romney's positions on tax credits plus his refusal to release tax returns that could detail the depth of his personal write-offs. The Internal Revenue Service has given the topic of tax breaks for horse owners plenty of attention over time because so many have tried to write off their hobby horses as business expenses. The upkeep of Ann Romney’s horse Rafalca wasn’t taken as a business expense until the equine was trained for the Olympics. At that point, he moved from being a “passive investment” to an “actively managed” asset. All horse owners must prove that their horse is being actively managed as a business asset in order to claim a tax break for expenses. Additionally, tax breaks for horses must be associated with profit taking. According to the University of Vermont, “When a taxpayer incurs losses from horse activities year after year and those losses are deducted from unrelated income,” chances are good the IRS will flag the return. You look upon your horse as a treasure, but it’s a commodity in the world of business. Prove just that by consulting the “Nine Hobby Loss Factors” compiled by the IRS to differentiate hobby horses from legitimate business expenses: 1) Is your horse a proven part of a business operation? 2) Do you use your business experience to maintain the horse? 3) Do you spend time and money on the horse? 4) Do you expect the animal to appreciate? 5) Are your horse-related business expenses valid? 6) Can you prove income and loss? 7) Are your horse-related activities focused on profits? 8) Does your horse contribute to your financial status? 9) Is your horse primarily for pleasure? Explore these guidelines further within IRS code 26 CFR § 1.183-1(b). The IRS looks carefully at tax returns of horse owners, and judges and auditors associated with the IRS apply rigid standards to records and tax forms. Your supporting documents must show that you expect your horse to increase in value and that every cent of profit earned — and losses deducted — are related to the enterprise. Show a profit for two of seven consecutive years following a first year loss, and "the burden shifts to the IRS to disprove the 'general presumption of profit intent,'" according to the Thoroughbred Owners and Breeders Association. This is why a formal business plan, separate bank accounts and profit and loss statements are essential to prove your case if you're challenged. The IRS prosecutes many people for trying to pass hobby horses off as part of a business effort. Try to take your horse(s) as a business expense when it’s not and the IRS may recompute your tax liability for the past three years, even if you expensed the horse only once. In addition to being forced to reimburse the government for those unpaid taxes, you could also incur interest and penalties. “Professionals who engage part time in horse activities — or whose spouses do so — are a prime target,” says the University of Vermont.” Your best protection against this situation is to understand the law. The American Horse Council publishes “Tax Tips for Horse Owners” and “The Horse Owners Tax Manual.” They are standard reference for the equine industry and they could be your go-to resource guides for as long as you own your horses. The University of Vermont: Are Your Horse Expenses Tax Deductible?